It’s always fun to celebrate holidays at the office, and the next one that’s upon us is Valentine’s Day. This occasion offers some unique pitfalls, (watch the Valentine’s Day episode of The Office for examples) so it’s important to keep things light and fun for all. Here are some ideas for celebrating Valentine’s Day at the office. Heart shaped pizzas for the team. 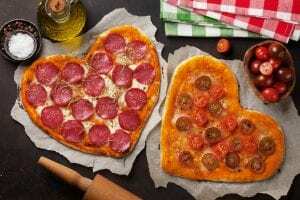 You can’t go wrong with pizza for all and many pizza places offer the classic heart shaped pie on February 14th. Remember to order one for the vegetarians! A cookie decorating contest! This one sounds involved but it’s not. 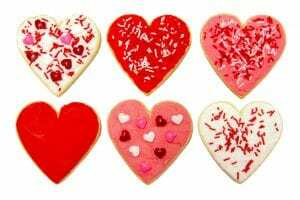 Buy a supply of heart shaped cookies from a local bakery and ask for some frosting in red, pink and white. Buy some sprinkles and let your team’s creativity take it from there. Offer a prize for the most beautiful creation. If you need fodder for the company Facebook page, invite the team to snap a photo of their finished masterpiece and let the cookie with the most likes be the winner. 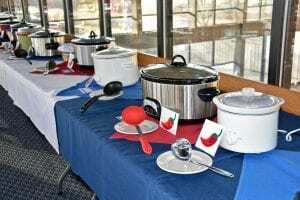 A chili cook off! Invite employees to create their best chili recipe. Provide bowls, spoons, napkins, and crackers. Award prizes for categories or 1st, 2nd, and 3rd place. The prizes can be Valentine’s Day themed items such as a movie tickets, a gift card to a nice restaurant, tickets to a sporting event, etc. Too busy for the whole cookie thing? 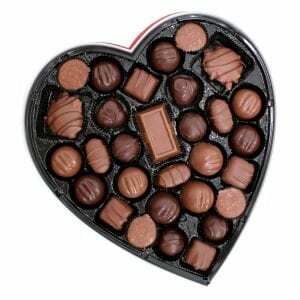 A couple of big heart shaped boxes of candy is always a nice treat. Again, in keeping with the theme of not being awkward, the candy is placed in a central location for everyone with a sign that says something like, “Happy Valentine’s Day Team! Enjoy a piece of candy!” For an added element, create a big jar of Valentine’s candy and allow employees to guess how many pieces are inside. The winner is then awarded the jar. A Red Theme. Invite everyone to wear red (and maybe dress down or wear jeans). Have a potluck with red foods. 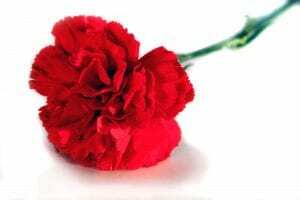 Give each employee a red carnation. Take the color red and run with it. Go with a Heart Health theme. Cater a heart healthy breakfast or lunch. Go for a walk or host a professional to discuss how to improve heart health. Bring in a masseuse or two to give chair massages. It’s the gift of positivity, touch and relaxation minus the potential for disaster. Not really into activities? 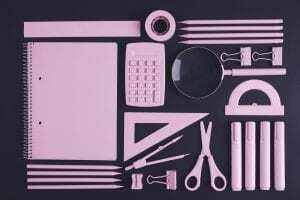 Get each employee some pink office supplies! A notebook, a highlighter, sticky notes, a scissors, pens and more. Every employee likes new “stuff” that’s all their own. 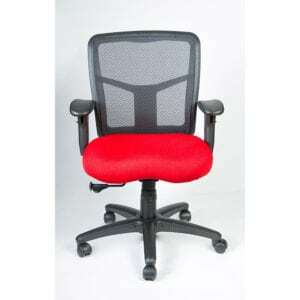 Of course, we recommend getting each employee a brand new red office chair. Like this one. But we might be a little biased. Best of luck with your celebration! You’ve got this. Or click here to browse our catalog.